Help translate the Handbook for Nonviolent Campaigns into Turkish! With the increasing need for solidarity with Turkish civil society, the Bund für Soziale Verteidigung (Foundation for Social Defence) - a WRI affiliate in Germany - are fundraising for 1,400 Euros to print our Handbook for Nonviolent Campaigns in Turkish. This money would go to the Istanbul Nonviolent Education and Research Centre who will then distribute the handbook for free in their nonviolence workshops and trainings. Please help activists in Turkey to improve their skills in nonviolent action through using this handbook! WRI Council to protest the London arms fair! This year's WRI Council meeting will take place in London in September, coinciding with DSEI - Defence & Security Equipment International - the biggest arms fair in the world. We will take part in actions before and after Council to disrupt the fair. UK activists: see how you can help international activists to stop DSEI! 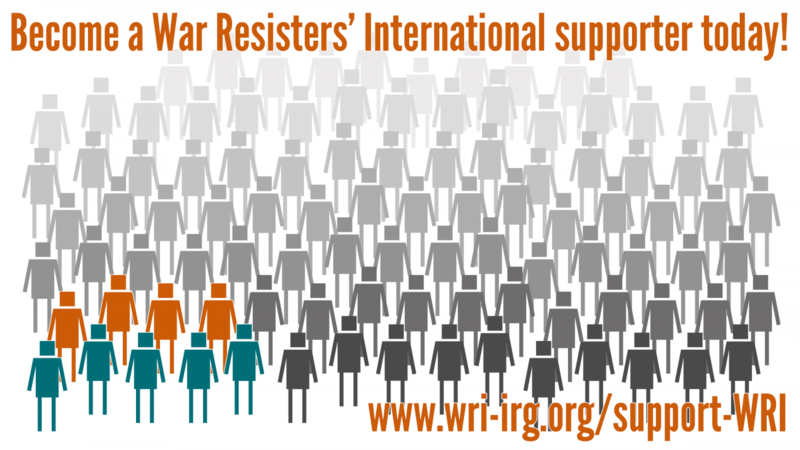 A WRI affiliate in the United States of America – War Resisters League – stand 'with all migrants in the U.S., especially the many facing renewed threats of mass deportation under the new Trump administration.' WRL are working to challenge police militarisation and racism, and their campaign #NoSWATzone upholds a vision of “Sanctuary Cities” and sanctuary spaces that provide refuge from the federal raids that Trump promises to bring. Read their statement and recommended reading and resources here. This month, War Resisters' International responded to a request for information from the UN Office of the High Commissioner for Human Rights on conscientious objection to military service, towards a quadrennial analytical report on conscientious objection to military service that will presented to the Human Rights Council. Find the pdf of our submission here. Peace Action Wellington activists found not guilty!